(CNS): Following a manufacturer’s recall of Kashi Thin Crust frozen pizzas Foster's Food Fair said it has pulled the product from all of its shelves. The voluntary recall by the makers of the pizza involves approximately 11,000 cases of frozen pizzas, including Mediterranean Thin Crust Pizza, Roasted Vegetable Thin Crust Pizza, and Mushroom Trio and Spinach Thin Crust Pizza due to possible plastic fragments in an ingredient in the pizza crusts. No other Kashi frozen pizzas or other products are included in the recall, and no consumer complaints have been reported. The products were distributed nationwide through U.S. retail grocery stores. Consumers who have purchased this product are warned to should stop using it immediately and to consult their doctors if there are any adverse reactions after consuming the product. 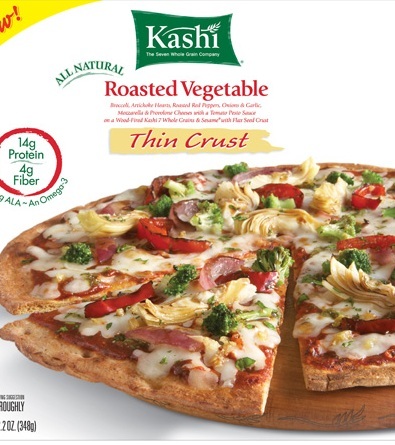 The affected product numbers for the pizzas are 000 18627 32905 which is Kashi Roasted Vegetable Thin Crust Pizza packaged in a 12.2 ounce box Best If Used Before date of either May10 12NU, May18 12NU, or May19 12NU; and 000 18627 37344 which is Kashi Mushroom Trio and Spinach Thin Crust Pizza packaged in an 11.9 ounce box Best If Used Before date of May17 12NU. For further information please contact Consumers with questions or who would like a replacement may contact the Kashi Consumer Response Centre at 877.864.3521 Monday – Friday from 8 a.m. to 6 p.m. Eastern time, or visit www.Kashi.com1. 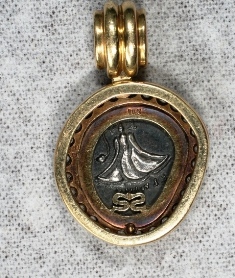 (CNS): The Royal Cayman Islands Police Service has released pictures of two pieces of jewellery that are suspected by officers of being stolen property. 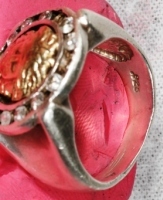 Police said the distinctive jewellery was seized by West Bay police officers. 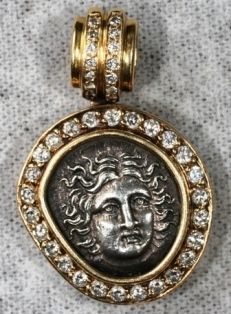 The pieces depict the image of Medusa on a ring (pictured left) and a medallion (right) and both are believed to be very rare pieces, which may have been designed and created by jeweller, Dennis Smith. (CNS): As a result of the rough weather conditions still swirling around the Cayman Islands, international open water swimmer Penny Palfrey has postponed her record breaking attempt to swim from Little Cayman to Grand Cayman until the weekend. Steve Munatones, an advisor with the Palfrey team, said Wednesday afternoon that the planned early Thursday morning start had to be cancelled. Palfrey is now expected to start her marathon 68 plus mile ocean swim at about 6am on Saturday, 11 June, when the predicted direction of the wind and ocean winds and swells will be going with the swimmer and not against her, as would be the case if she started tomorrow. 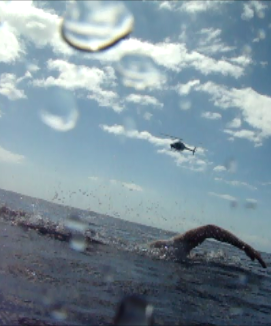 This means that Palfrey will not be expected to arrive in Grand Cayman’s East End until Sunday afternoon or evening, depending on how long it takes the marathon swimmer to cover what will be the longest recorded distance for an open water swim in history. FCU officers said today that they are familiar with this type of crime and it is not the first time people have been conned in Cayman into believing the scammers in this type of crime. The raid took place at the Treasure Island Resort, where police arrested the suspect scammer for possession of counterfeit currency, and seized paper, specialist dyes, bleaching agents and blotting paper. Explaining how a black money scam works, Montague said victims are sucked into believing that the scammer has a block of genuine bank note paper, and through the use of ‘special’ dies and chemicals that are used in the real production of cash, the money paper can be converted into real currency. The idea of the con is to persuade the victim, through a false demonstration, in which the scammers switch the scam paper money to the real thing, to pay a set fee of several thousand dollars to clean a full block of the "money" paper, which could be one hundred $100 bills that would be given to the victim. The con artist takes the fee, then usually asks for a few days to clean all the money, which is generally when they make their escape without ever delivering the “cleaned” fake money to the victim but making off with the victim’s real money. Montaque said that the FCU secured a conviction for the crime in 2004 and has seen evidence of the scam, which they say is relatively common, on a number of other occasions. 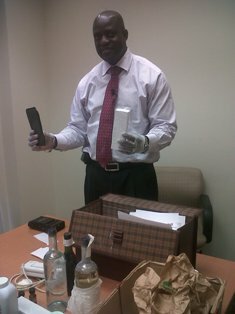 As a result of the items seized from this latest suspect scammer, the financial cop said he believes some people have already been sucked into the crime and they need those people to come forward as soon as possible to assist with the enquiry. Anyone with information is asked to contact the Financial Crime Unit on 949-7897. The hundreds who are following Captain Bryan Ebanks' Save Cayman campaign, waiting for government's response, can donate their monies to pay the National Trust or any non-profit organization to have purchases and expansions made to the islands' nature reserves. Know that the goal of what we have now, the National Trust (not-for-profit organization), is to preserve the environment, marine, and cultural treasures of the Cayman Islands. I understand that the foundation's reserves are protected from government legislation. The foundation is also quarantined from governmental corruption in that their own financial activities are audited by accountants not within their organization. From KPMG statements, which are posted on the National Trust's website, for the year ended June 30, 2009, state that the National Trust received in donations of goods and services the amount of $295,533, and government grants for the fiscal year estimated to $308,000 C.I. From fundraising events they've made $94,447 C.I. The total from their revenue and support operations, KPMG recorded $800,103 C.I. If the National Trust can make such figures within a fiscal year, just imagine how much it can make if there is a spearheaded campaign (like this petition one) to fill the coffers of the Trust for the purchasing of lands and marine zones! So far, the National Trust has been able to purchase valuable reserves, which are a testament of what donations can do. The financial statement ended June 30, 2009, stated the acquisition of Booby Pond Nature Reserve, which was valued in 2009 at $1,232,424; the Brac Parrot Reserve – valued at $1,177,931; the Mastic Reserve – valued at $1,133,315; the Salina Reserve – valued at $997,440; the Central Mangrove Wetland – valued at $501,400; Uncle Sammy's Pond – valued at $315,000; Governor Gore Bird Sanctuary – valued at $223,862; Brac Splits – valued at $222,220; Dr. Roy's Ironshore – valued at $178,252, et cetera. There you go! No one can say that the National Trust's net assets were not achievable. If people really want to "Save Cayman", would they not donate and pursue towards this foundation's cause like they would give to their church every Sunday? Wouldn't they want to also save Barkers in West Bay, a very very valuable nature reserve? My view is if you can sign a paper (play defensive) to stop government from destroying Cayman's wildlife and environment, you should be able to reach down in your pockets to also play offensive by capturing and securing areas like Barkers in West Bay and parts of the North Sound. Don't say that it is impossible at this time or we don't have the money to capture lands. Every cent makes a difference. The National Trust is an important organization made up conservationists who at least have an understanding of what our ecosystem and environment needs. They should know what to secure best from the grasping hands of greedy politicians and developers. And if you don't trust the Trust, then there is always the option of starting a non-for-profit group. If anyone is interested in donating to the the National Trust, it is located at 558A South Church Street, George Town. Their website address is www.nationaltrust.org.ky. So don't only sign a petition and hope in government. Do something better – put your money where your mouth is! (Bloomberg): The inclusion of the aviation sector in the European Union’s emissions trading system is a “practical example” of steps that need to be made to prevent global warming, EU Climate Commissioner Connie Hedegaard said. “‘If we had only done that for European airlines only it wouldn’t be fair,” Hedegaard told a seminar in Brussels today. 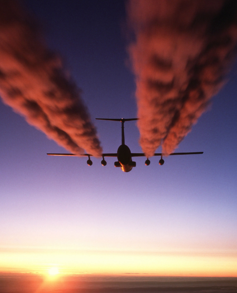 “Everyone agrees the aviation sector has to contribute.” The EU decided in 2008 that external and internal flights should be covered by its emissions trading system, known as the ETS, after airline discharges in Europe doubled over two decades. The European legislation offers an option to exclude incoming flights from a non-EU country if the nation implements “equivalent” measures to cut pollution from aviation. China’s airline association said earlier this week that it “totally opposes” the EU’s plan to expand its cap-and-trade program from 2012 to include airlines, adding the initiative may prompt trade conflict. (CNN): Today hundreds of Internet giants, including Google and Facebook, are participating in the first worldwide "test flight" of a major engineering upgrade to the Internet's infrastructure. Wednesday is World IPv6 Day, a clunky name for an experiment that should be invisible to Web surfers but plays a critical role in keeping the Internet running smoothly. One of the Net's foundational layers is the Internet Protocol, a global communications standard used for linking connected devices together. Every networked device you own — your PC, smartphone, laptop, tablet and other gizmos — has a unique IP address. The problem is that we're running out of them. The current system, called IPv4, has the technical capacity to handle 4.3 billion addresses. They're almost all used up: The last remaining batch was assigned out in February. The solution is a next-generation protocol called IPv6. Just as the U.S. telephone system handled soaring growth by increasing the digits in each telephone number, the new IP system — under development for more than 12 years — uses longer addresses to fit more devices into the network. (CNS): Over 150 No Smoking’ signs were given out to local businesses last week when a volunteer group headed by the Public Health Department put the writing on the wall regarding smoking in public places. 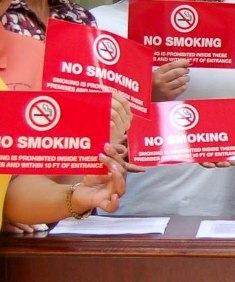 The World No Tobacco Day (31 May) initiative aimed to get more businesses to comply with the Tobacco Law which requires prominently-displayed ‘No Smoking’ signs to be mounted in all public places. These include beauty salons and barber shops, laundromats, enclosed bars, restaurants and pool halls, as well as shops, shopping centres, restrooms and transportation terminals. Health Promotions Officer Therese Prehay said the response was very good, people were appreciative and no-one denied taking the signs. “We will continue our ‘No Smoking’ sign distribution over the next few weeks,” she added. Minister of Health commended the volunteers and businesses already in compliance as he pointed out that all enclosed public places, including work places, parks, indoor bars and restaurants must be 100 % smoke free. (CNS): Government has begun expanding and renovating four of the country’s primary schools in a $10 million project. Following the groundbreaking in April on a new classroom block in West Bay, where the work will be completed by Shoreway Construction, the ministry has more recently started work at George Town, Savannah and Bodden Town. Local firms McAlpine, Lalev Construction and Myles Construction have been awarded the jobs, which involve the addition of new wings at each of the schools. The minister also announced plans to start work soon on a fifth primary school, but so far there is no news on completion dates for the two high school projects. Aging school structures, costly modular units and diminishing classroom space were the primary motivators for the project, the education minister said. George Town Primary School will receive a 17,510 square-foot addition, which will include nine classrooms with self-contained storage and restrooms, in addition to a school library, five administrative-support spaces and an outdoor play area. The 12,000 square-foot space earmarked for Savannah Primary will add eight new classrooms, also with self-contained storage and restrooms, and a library. 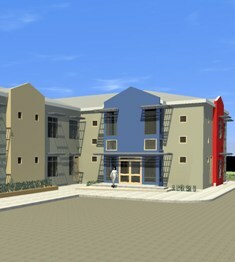 At Bodden Town Primary, the new 5,300 square foot wing will add six classrooms, a school library and new administration office, while at West Bay primary construction has already started on a 5,300 square-foot additional school block with eight new classrooms. Rolston Anglin said the upgrades were all part of his ministry’s strategic plan to further develop Cayman’s education product. Anglin said the upgrades would also facilitate space needed for reintroduction of reception classes at primary schools, as well as the removal of all modular classroom units, the maintenance costs of which, he said, continue to spiral upwards. Upgrading these schools is part of a larger ministry goal to address the needs of all primary schools. A new 2,700 square foot school hall has already been completed at East End Primary, and the minister announced the construction of a 6,600 square foot wing at the country’s newest public primary school at Prospect, where six classrooms will be added. “Just after taking office I discovered that our facilities were impeding teaching and learning,” Minister Anglin noted. “We therefore developed a master plan for all our schools, ensuring that it factored in future population growth. The new facilities are designed to enhance the learning experience. Meanwhile, the ministry has not given updates on when the two high school projects will be completed. Although the very same issues the minister cited as motivation for upgrading primary schools are plaguing the students at John Grey, there is still no news on the re-commencement of either that new campus or an opening date for the Clifton Hunter School at Frank Sound. 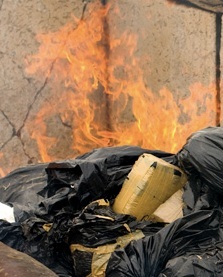 The discovery earlier this year of drugs which had been seized and wrapped in customs tape, at the Cayman Brac landfill however as still not been explained. CNS has contacted the police and customs officials regarding the find by local people at the dump but no one has yet explained how drugs supposedly seized by officials could find their way onto the dump outside of an official destruction event. Meanwhile, the customs department has confirmed that an officer who was suspended more than eight months ago in connection with drugs being exported to the United Kingdom remains off duty as the investigation into the events continues.